«Behind every great doctor» illustrated quotation. Nurses Day, free quote pictures for Facebook, Twitter, LinkedIn, Reddit, Pinterest and other social networks. 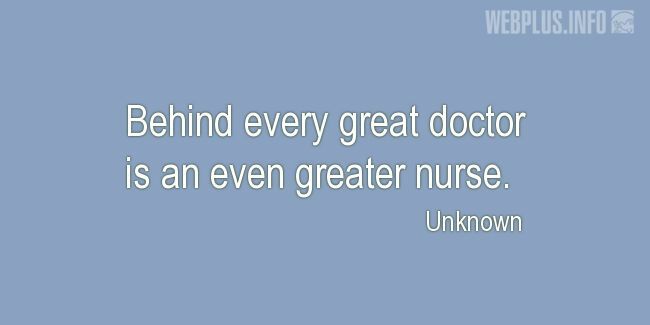 Behind every great doctor is an even greater nurse.